So, I decided to try out Fandom of the Month. Not sure how long I’ll keep it. I guess I just have to wait and see what I get. I usually give a subscription box a few tries before I decide no or not. The first box I received was Star Trek. I’ve seen many, many Star Trek episodes. Ranging from the original to the movies. So, I’m okay with this box. I do hope we can get a Star Wars Box again sometime. I missed out on that one, which was a few months ago. I believe? Too bad Fandom of the Month doesn’t do past boxes where you can buy them. I would be on that. 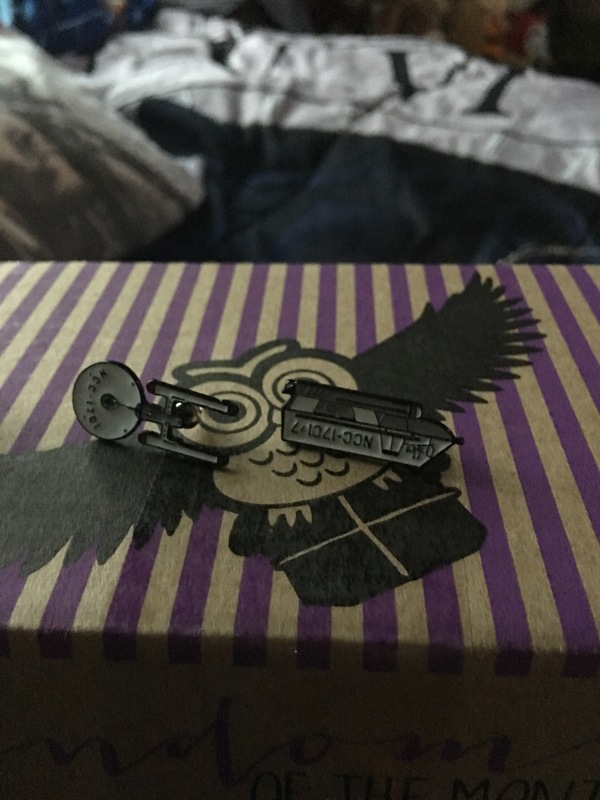 First, when you open the box. You see the magnet. Love it! But, not sure where to put it. I have lots of magnets that I can’t figure out what to do with. Next, you have the pouch. Love this. 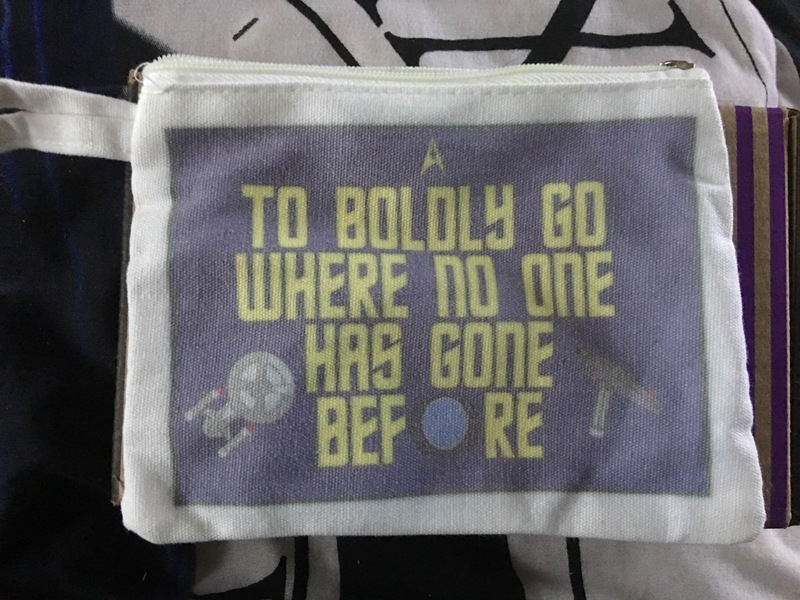 I’ve been on a kick with bags or pouches. I hardly use a purse anymore. If I do it’s for special occasions. 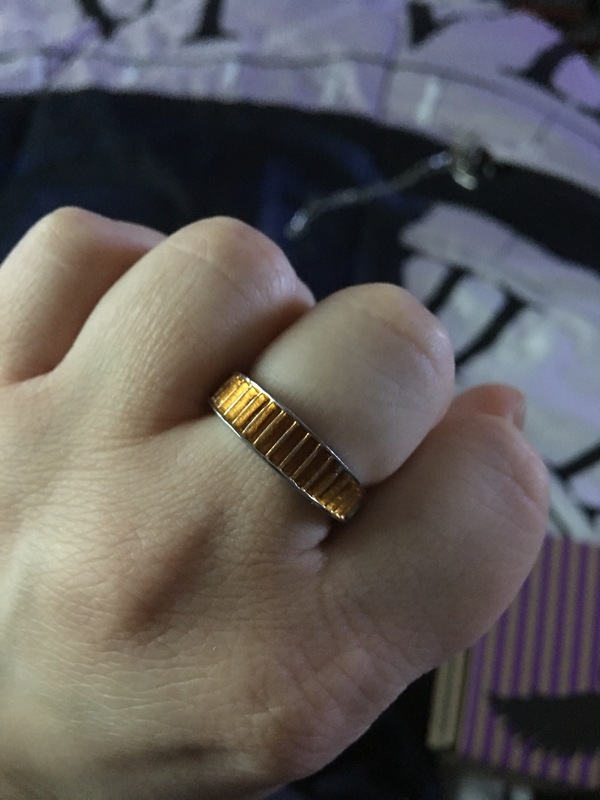 The first piece of jewelry is a ring. If you watch Star Trek: The Next Generation. You should recognize the visor that La Forge wears. 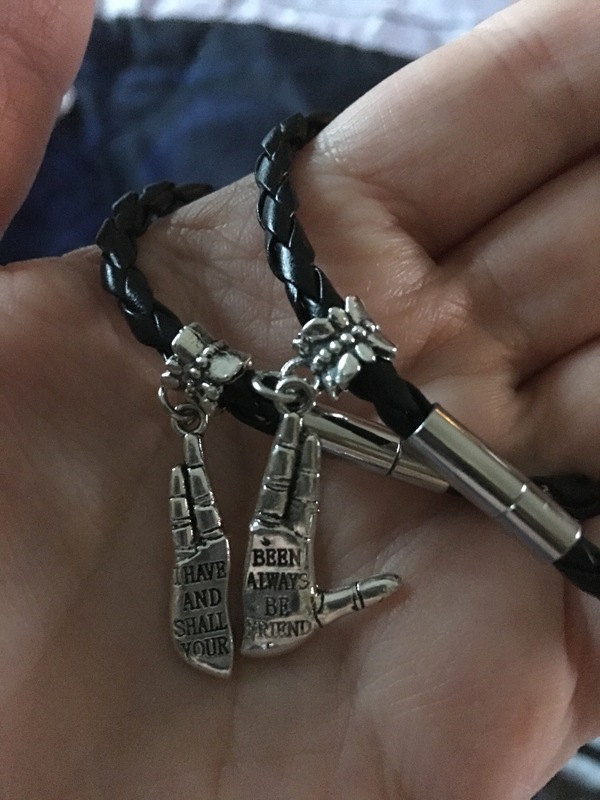 Next up, we have friendship bracelets. Not sure when I’ll wear this. 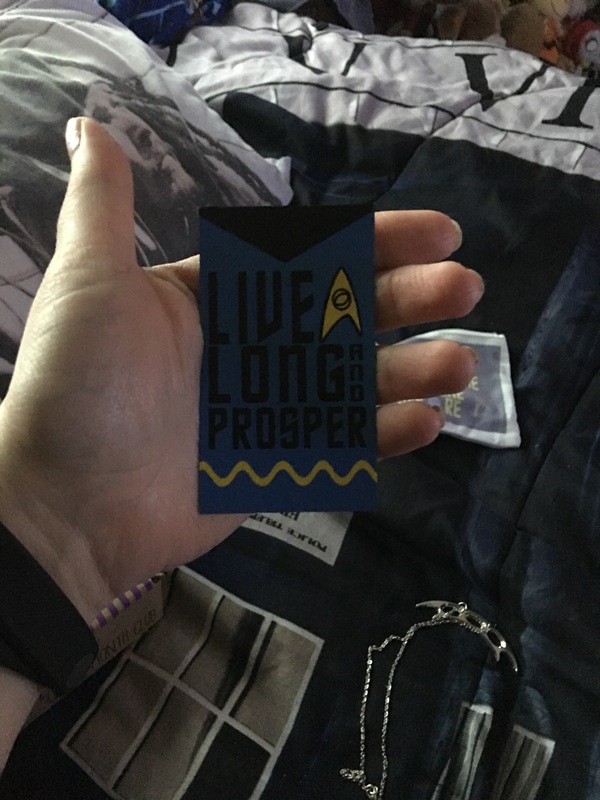 I have close friends, but none of them are really Star Trek fans. So will have to come up with a plan on this. Earrings? Love this one. I’ve been looking for more fun earrings like this. Can’t wait to wear them! 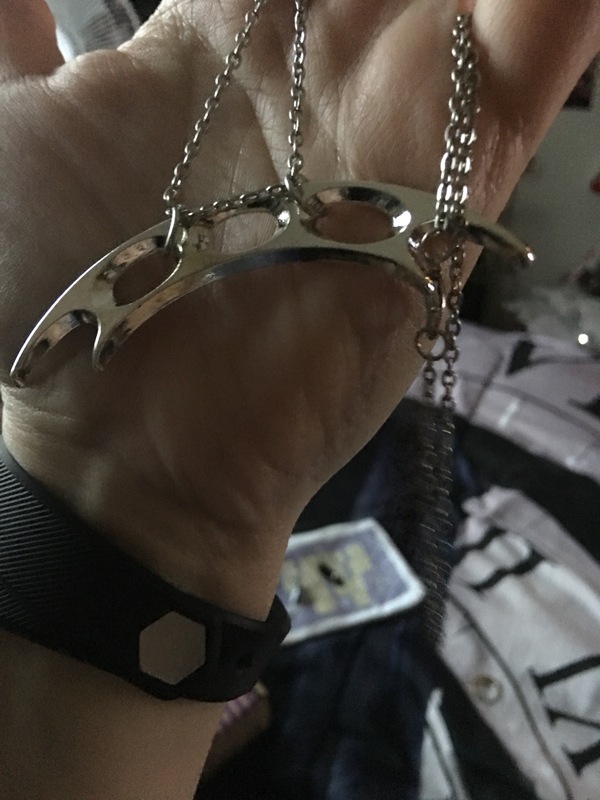 For the necklace, I love how I have my own Bat’leth now. I believe that’s what it’s called. Again, not a huge Star Trek fan but I recognize the weapon. Why Can’t I Live in a Jane Austen Novel?